It is 10:00 p.m. Wednesday evening. Everyone has headed to bed except the girls and me. I forgot all about writing this column until after daughter Elizabeth, Timothy and Abigail left for home. They came over for a while after supper. We had so much fun with Abigail. I was helping her walk and let go of her hands and she stood by herself for quite a while until she noticed I had let go of her hands. She will be eleven months old tomorrow. Time sure goes way too fast. We are still busy cleaning for the church services we will host in two weeks from Sunday. The girls have been cleaning out drawers and kitchen cabinets. I am sorting through dishes that I hardly use. I am giving them to my daughters and what they don’t need I will put in a garage sale. What doesn’t sell I will put in our local free store. It’s like they say—one person’s junk is another person’s treasure. Over the years things accumulate and I like to get rid of things that just sit around. Yesterday we washed off walls, ceiling and windows in Joe’s and my bedroom. We also have a bathroom beside our bedroom so that was cleaned from top to bottom. We cleaned furniture, curtains and the bedding was washed and put back on. Today I cleaned our closet. My mending is piling up though and I keep hoping to get it caught up before church. On Friday evening, neighbors, friends, and family will gather to help my sisters Verena and Susan move their furniture back to their house. It has been stored in our basement for over three months since their fire. The construction on their house is now done. It is a good thing that we can now clean our basement next week. My tomatoes are ready to start canning. I will start with tomato juice since I ran out. I have plenty of V-8 canned yet, but it is too spicy to put in soup alone. I sometimes mix it with tomato juice. I canned dill pickles for daughter Susan last Saturday. Mose’s mother sent dill and other pickles home with Mose and Susan Friday evening. Mose and Susan went to his grandma’s sale of her personal belongings so I thought I would can the pickles for her. Son Kevin, 11, has been doing odds-and-ends jobs for us. He always has the dogs trailing after him. They just adore him. 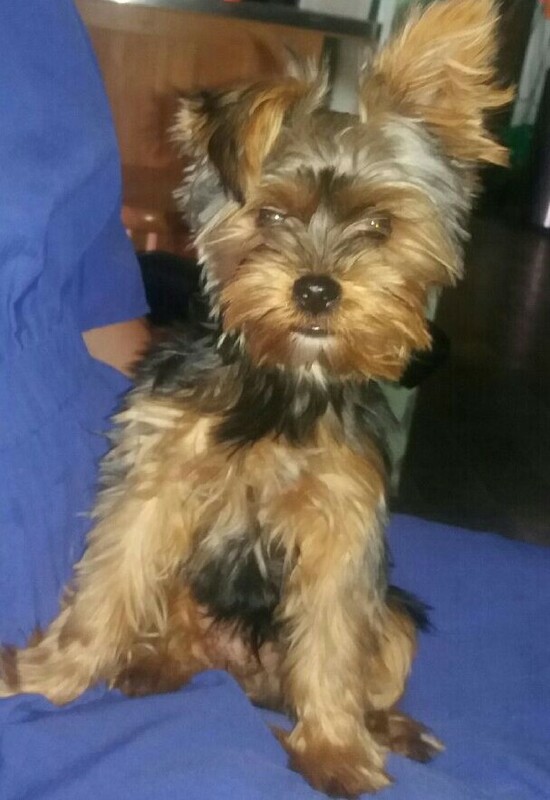 Daughter Verena’s Yorkie puppy Ricky is almost six months old and is looking like a little fur ball. She took him to the vet for another round of shots. Kevin was burning trash out in the barnyard while we were washing clothes in the basement one day this week. Daughter Susan looked up and saw our whole herd of horses and ponies go flying past the window. They headed straight for neighbor Joe’s yard and galloped north. Our pony Stormy was in the lead like usual. Susan ran to get a scoop of grain so she could bribe the horses into coming back. Fortunately, my husband Joe and son-in-law Mose had an early day and had just come home from work. I’m not sure if Stormy saw Susan shaking the scoop of grain but he decided to circle around the fence around our field and head back home. Once they were in our yard we corralled them back through the gate. I think Kevin won’t forget to chain the gate next time he burns trash. The gate was shut but not chained and it seems those ponies know exactly when it’s open. Try this lettuce salad if you want to make a salad the day before serving it. Layer the first seven ingredients in a 9×13-inch dish. Mix mayonnaise with sugar. Spread on top as if frosting. Top with cheese. Cover and refrigerate 8 to 12 hours. At serving time, garnish with additional bacon and parsley if desired. Amish cookingLovina's Amish KitchenThe Essential Amish Cookbook: Everyday Recipes from Farm and Pantry. I very much enjoy your posts. The recipes are great. So easy and good. My appreciation for the tips. Never a dull moment when at home is it? Always look forward to you posts. The salad looks so good. Can’t wait to try it. But the star of this article is the yorkie. Wow so cute. To bad you don’t have a litter I’d buy one. Hi Lovina, I haven’t commented in a while since I met you at the book signing in Shipshe. A couple days later I was diagnosed with cancer. It’s been a whirlwind of a spring/ summer, but I am now cancer free. My pile of mending gets huge too. Seems they don’t make clothes like they used too. 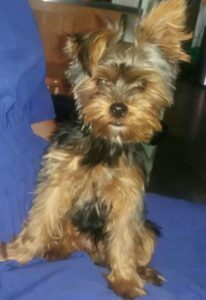 That Yorkie is just darling. I am not a huge dog lover, but that one is cute. I make that salad often and it is really good! I like it that you can make it ahead and it is soooo fresh. Hope your church services go well. ~ Diane W.
Thanks for commenting and very sorry to hear of your bout with cancer, but so glad to hear you are doing well now! Blessings.